On the first Dubspot Radio Podcast of 2015, NYC-based DJ/producer and Dubspot technician Julia Matuss takes us on a trip with a sleek and enjoyable new mix showcasing her original productions along with some recent favorites. Matuss also talks about growing up in a musical household, immersing herself in house music at an early age, taking inspirations from a wide range of genres, how she approach music production, collaboration, and more. On March 30th, Matuss will be presenting the first vinyl release from her brand new imprint Absence Seizure. The release will serve as Matuss’s debut on wax! To celebrate the occasion, three events are planned in Los Angeles (February 27th), New York (March 13th at Lot45), and Miami! At each event, the first 10 people to attend will get limited edition vinyl from Absence Seizure. You can also RSVP at info@absenceseizuremusic.com. Details are forthcoming and we’ll update as they become available. Julia Matuss discovered her passion for music at the early age of 6 by accidentally wandering through a music school and bumping into a music teacher in Hungary. She then immediately started Piano and Saxophone lessons perfecting her musical ability and learning how to produce music. In her early years she traveled all over the world experiencing many different cultures and types of music. She was drawn into sounds and melody developing an intense desire to create beautiful harmonies. Not learning to play music or be able create music was punishment to a young Matuss. 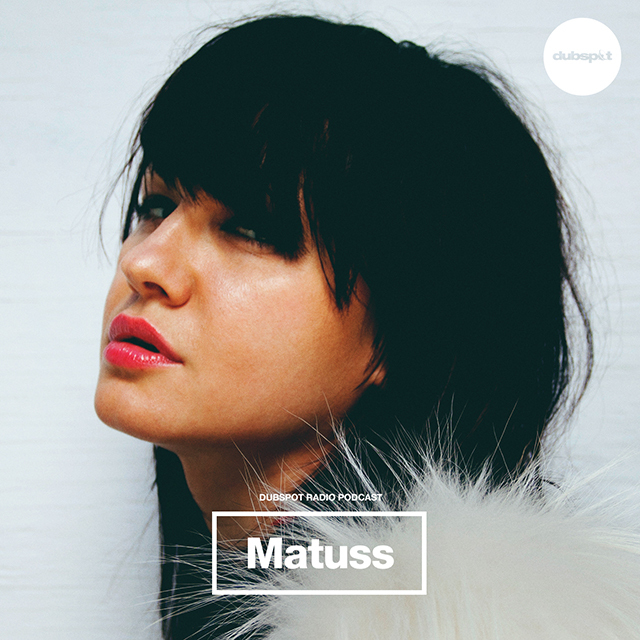 The path was set for Matuss to dedicate her life to music and she later found herself attracted to the art of DJing and producing music, infatuated with the sounds and melodies created by mixing two tracks together. The power of controlling the sounds and vibrations that reverberate through the speakers causes Matuss to be overcome with emotions and gives her the ability to translate those feelings towards the crowd and the dance-floor through the tracks she curates. Learning how to DJ and produce became natural for Matuss having been involved with music since an early age. Her conversation with Louis Botella solidified her decision to learn the art of DJing and to continue her passion for creating music and sharing that passion with the world. Buying her first Numark equipment changed Matuss’ life forever, placing it on the floor of her unfurnished apartment and forcing herself to learn and practice. This skillset has allowed Matuss to play clubs all over the world including Luxembourg, Switzerland, France, Italy, and her home country of the Ukraine. Matuss has learned from the best in the industry including Armand Van Helden, Junior Vasquez, Hector Romero, Nic Fanciulli, and many more! She has opened for world renown DJs such as Danny Tenaglia, James Zabiela, Deep Dish, and countless others and held residencies at clubs in Chicago, the world famous Avalon in Los Angeles, Bliss in St. Martin, as well as a residency with Radio FG. During her time in LA she spun at numerous clubs such as Playhouse, Exchange LA, The Standard, and many many more. She has also played world famous clubs in New York such as Cielo, Sullivan Room, and lots others. Matuss also managed to get involved with Opulent Temple – a large scale art & music theme camp at Burning Man. Recently meeting her now friend and mentor, Nic Fanciulli, Nic saw the passion and dedication held by Matuss and helped her land a job as a technician at the legendary DJ school, Dubspot. Matuss can now be found learning, studying, teaching, and working at Dubspot in between her regular gig schedule and her time in the studio. She continues to perfect her craft and has regularly released on labels such as Vibra Macz, Monophonic Records, Automatica, Nosi, and many others. Her productions have received support by Roger Sanchez, Erick Morillo, Scumfrog, Coyu, Alan Fitzpatrick, Marco Carola, Michel De Hey, and many others. Aside from making and teaching music, Matuss also teaches at a kickboxing school in Brooklyn. Being a professional MMA Fighter and gave the idea for her most recent party project along with Abe Duque aptly named Fight Klub. The idea behind the brand is to allow people to have fun with no restrictions, no rules, and no strings attached. Every time Matuss performs, every gig she plays, she leaves a part of herself with every soul that hits the dance-floor. Keep up with Matuss on SoundCloud, Facebook, Twitter, and her site.